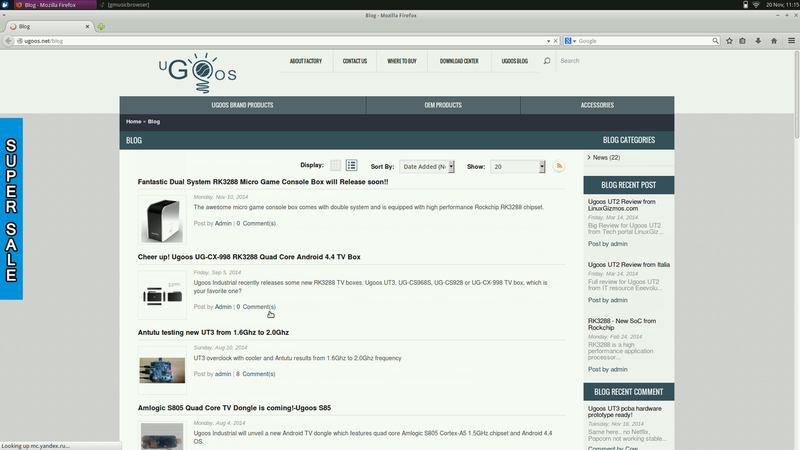 Home » Blog » Firmware with Ubuntu 14.10 available for Ugoos UT3! Hello. We are glad to share with You the great news. 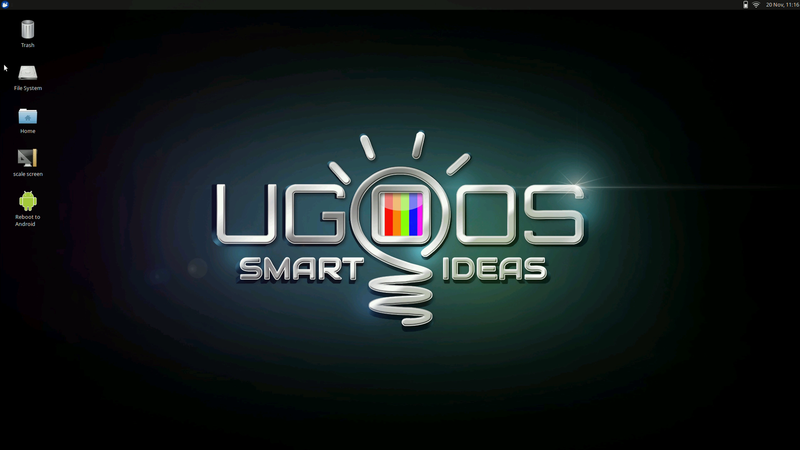 For owners of Ugoos UT-3 devices became available a firmware image with Ubuntu 14.10 Utopic Unicorn. Using this firmware significantly extends the capabilities of the user and allows you to turn your device from tv-box to the personal computer. 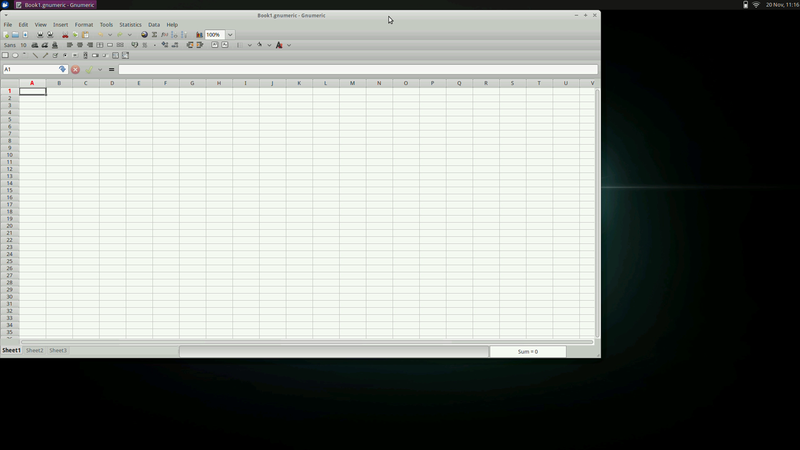 Linux desktop using the lightweight XFCE graphical environment. To install Ubuntu we offer to you choose one of the installation options. The first option is install Ubuntu+Android - Dualboot, you will get two systems on your device and switch between them by reboot. 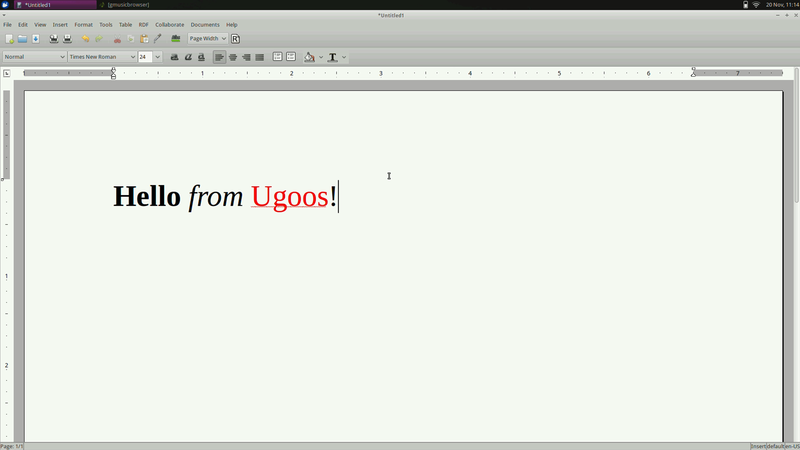 The second option is to install Ubuntu as the main and only operating system. It should be noted that regardless of which of the two installation options you select, all your data that was on the device before the installation will be destroyed. The system comes pre-loaded with a basic set of programs that would significantly reduce the initial system setup. You can play multimedia content, and to use the documents located in your local network. 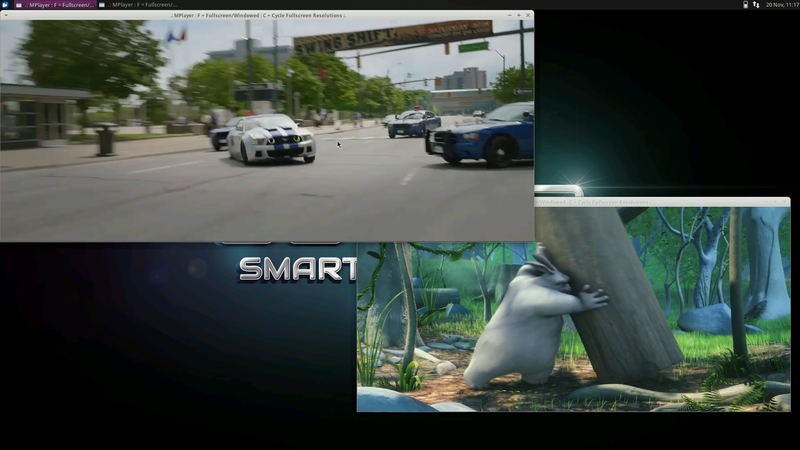 For video playback you can use mplayer. List of hot keys to manage the program you can found here. As common web browser we offer Mozilla Firefox. 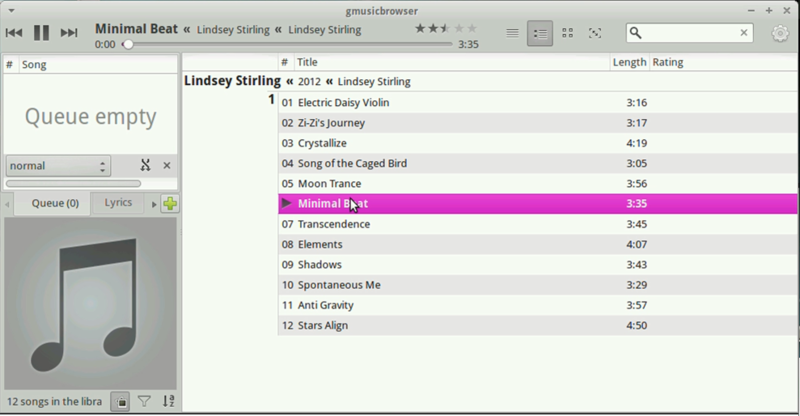 To listen your music collection you can use gmusicbrowser. You can start working with documents and pdf files immediately after upgrading. 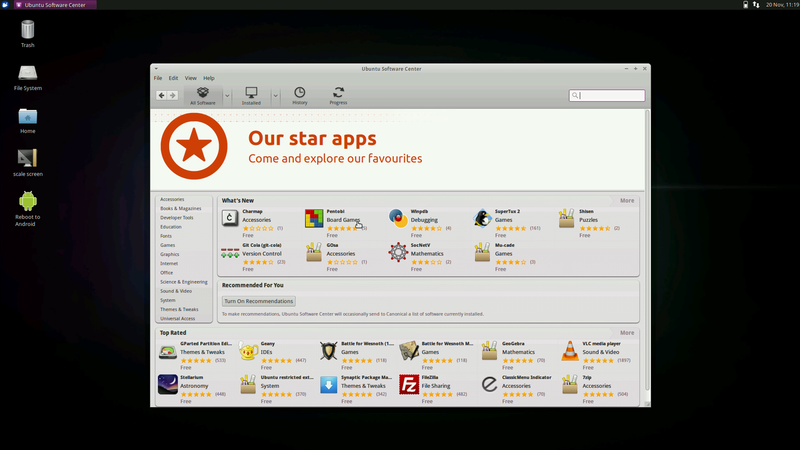 You will be able to expand the set of installed applications at any time, you can use the Ubuntu Software Center for this. To reboot in Android you need to use the shortcut on the desktop.Also on the desktop you will see the shortcut to run the program, with which you will be able scale the image to adjust it to fit Your monitor. 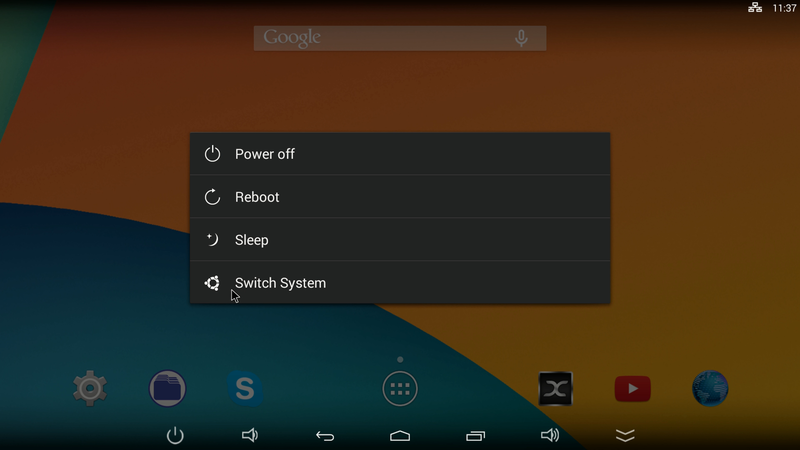 For reboot from Android in Linux use button "Switch system". You can find this button in the shutdown menu. Unfortunately, not everything is as great as it seems at first glance. GPU manufacturer does not provide driver for VPU and GPU for Linux. This problem is compensated by having a very powerful processor based on Cortex A17, which allows you to perform the most basic tasks without any inconvenience to the user. For example play most FullHD video files using software decoding does not cause rk3288 difficulties. We will continue working on this firmware, fix errors and adding new features. We welcome all enthusiasts who will help us to improve and to bring something new in the current firmware.